This is a recipe for easy mushroom risotto made in your pressure cooker. Instant Pot Chimayo Chile Shiitake Mushroom Risotto is a very special blend of Southwestern flavors. 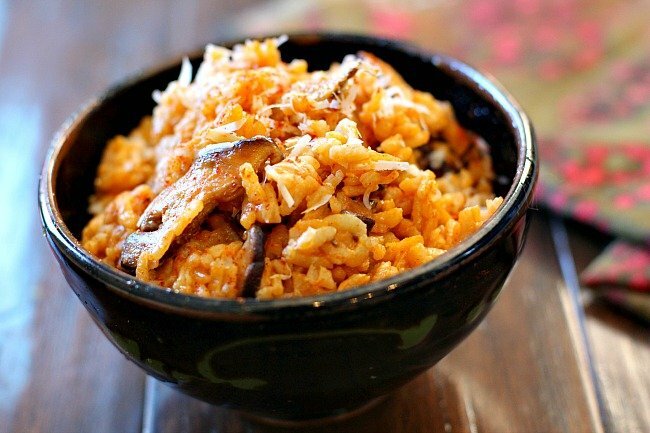 Shiitake mushrooms and chile powder are a match made in heaven, and a beautiful compliment the nutty flavor of the Arborio Rice. Making Risotto in an Instant Pot is a breeze. The texture and creaminess not at all sacrificed with the quick cook. As a matter of fact, the Instant Pot actually enhances the creamy texture of our favorite rice dish. Learn why. We’ve just returned from a trip to New Mexico and Arizona. A road trip to be exact. I couldn’t tell you how many thousands of acres of Cholla Cactus we passed, how many Ravens we saw sitting on fence posts and soaring the sky, or how many F-150 pickups roared past us on the Interstates. But I can tell you exactly how many packets of New Mexico Chile Powder I purchased. And how many fabulous Southwestern specialty meals we enjoyed on the trip. What a foodie paradise. Obsessed? A tad. 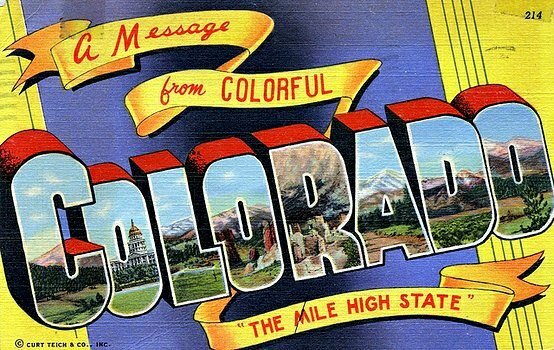 If you’re looking where to purchase New Mexico Chile Powder when you visit, here’s my packets and the locations where I found them. More about the trip below, but for now, let’s talk about this recipe. Pressure Cooker Risotto is so easy it’s hard to believe that risotto’s reputable creamy luxurious texture isn’t compromised by a six minute pressure cook. Not to mention the absence of the custom of standing over the pot and stirring…and stirring. I’m hooked and look forward to more risotto creations from my pot. Scientifically there’s something about a pressure cooker and its results on rice that seems to make it softer, stickier and the flavor seems better. The Instant Pot website says that “cooking under pressure or at higher temperature starch in rice gelatinizes to the maximum degree. This is why pressure cooked rice has a softer and stickier grain texture in comparison to boiled and steamed rice at normal pressure”. I also noticed a more desirable texture when I cooked pasta in the Instant Pot. My Chicken Chipotle Mac and Cheese seemed to simply melt in my mouth, in a very favorable and flavor-able way. This recipe is obviously inspired by my recent trip and my obsession with New Mexico chile powder. A treasure to have in your pantry, you can sprinkle it on about anything. Potatoes, omelets and of course in soups. When I first started using this beautiful rust colored powder, it was mainly saved for my Hatch Green Chile, Colorado Style. But if you think outside the box, the uses for New Mexico chile powder are endless. 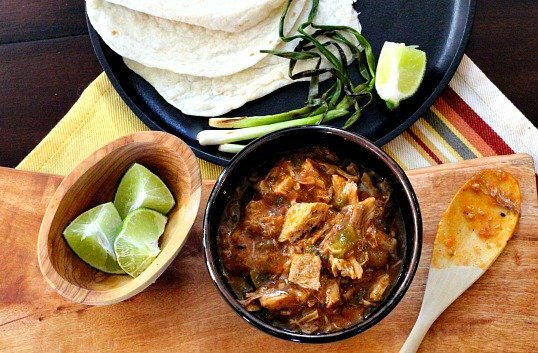 Point in case with this recipe, where a traditionally Italian dish gets a dose of Southwestern love. 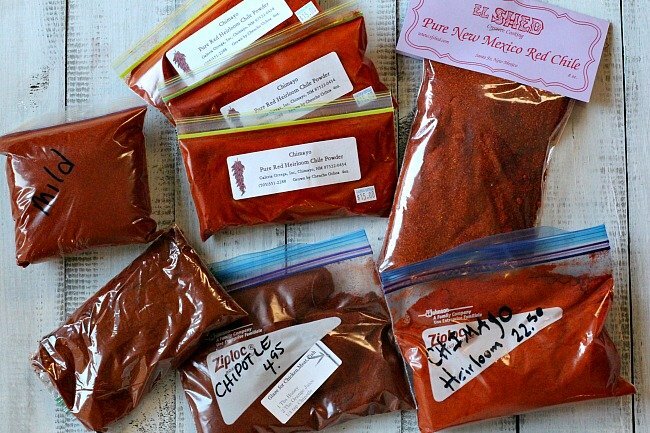 Chimayo Chile Powder can be hard to come by, so if you don ‘t have any, use a pure chile powder substitute a New Mexico powder or Ancho for this recipe. I hope you give this Instant Pot Risotto a try and let me know what you think. The following are affiliate links. I am a participant in the Amazon Services LLC Associates Program, an affiliate advertising program designed to provide a means for us to earn fees by linking to Amazon.com and affiliated sites. I purchased and love the ease of use of the 6-quart Instant Pot DUO. 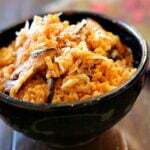 And a good quality arborio rice, a high starch, short grain rice. I always grab a bag of Lundbergs which is readily available at most markets. Thanks so much for being a part of Cooking On The Ranch! How fun to have an easy weeknight risotto recipe, and especially one that’s spiked with Southwestern heat. This is also a gluten free recipe. If you like this recipe, please give it a 5-star rating. And if you have a favorite Instant Pot risotto recipe, please let me know, I’d love to try it. Making Risotto in an Instant Pot is a breeze. The texture and creaminess is not at all sacrificed with the quick cook. 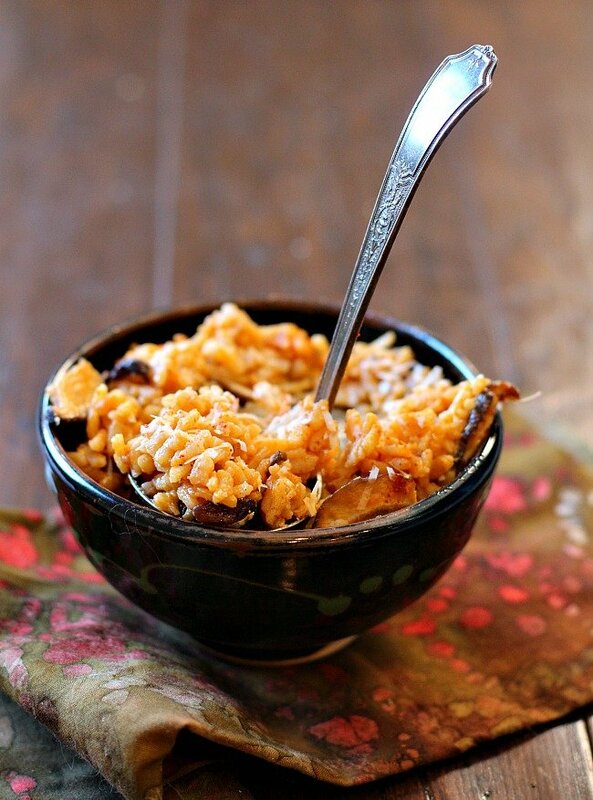 And this Chimayo Chile Shiitake Mushroom Risotto is a very special blend of Southwestern flavors. 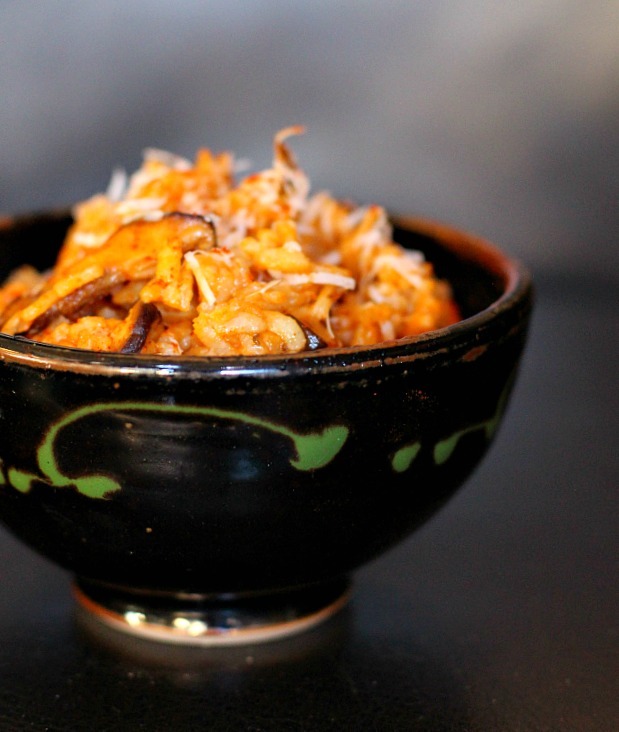 A beautiful compliment the nutty flavor of the Arborio Rice. Set the Instant Pot to Sautee. When hot, add oil and butter. Add mushrooms and cook for 2 minutes, add the shallots and cook, stirring constantly for 1 to 2 minutes. Add the rice, chile powder and bay leaf and stir until rice is nicely coated., stirring for 1 minute. Add the warmed chicken stock. Press the cancel button. Close the lid to the Instant Pot. Put the lid on, lock, and set the pressure release valve to 'sealed'. Press 'pressure cook on high, and set the timer for 6 minutes. When the timer beeps, release the pressure and open the pot. Stir in the cheese, cream, and a little more butter if you'd like. Season with salt and pepper and serve. A couple of shots from our Arizona, New Mexico trip. We stayed with friends in Marana, just outside Tucson at their Winter home. Thank you very much Tom and Kathy. What wonderful hosts you were to our family. 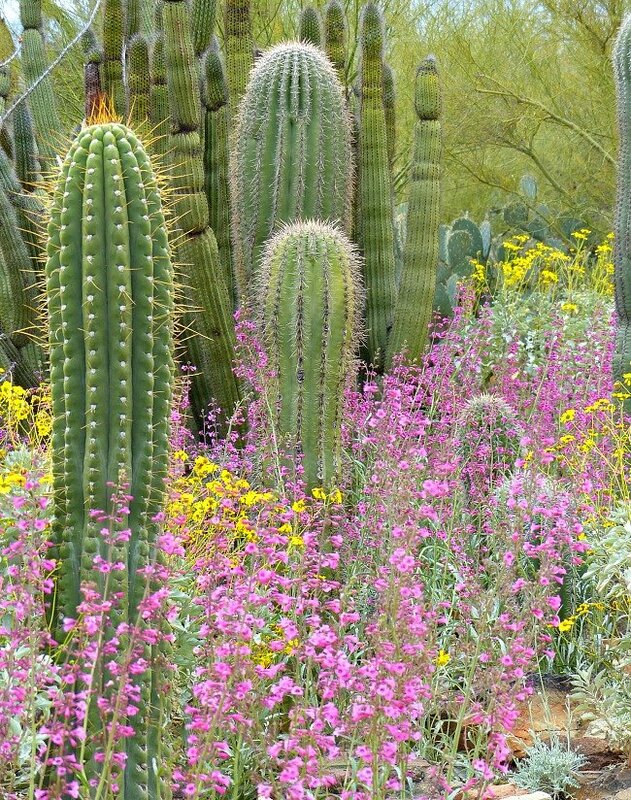 A visit to the Arizona Sonoran Desert Museum just outside Tucson is always high on our list. A capsule tour of Regional flora and fauna, it’s an educational and sensory experience. The 98 acres is a fusion experience: zoo, botanical garden, art gallery, natural history museum, and aquarium. After the museum, we paid a visit to a taqueria in North Tucson. 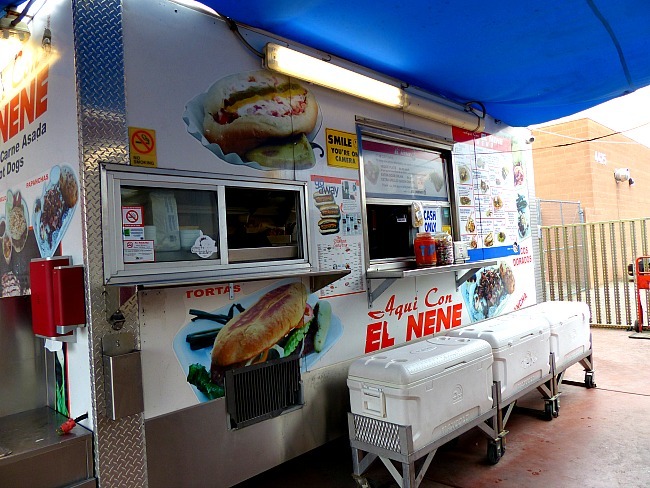 Aqui Con El Nene is a taco truck that has turned into a permanent location. 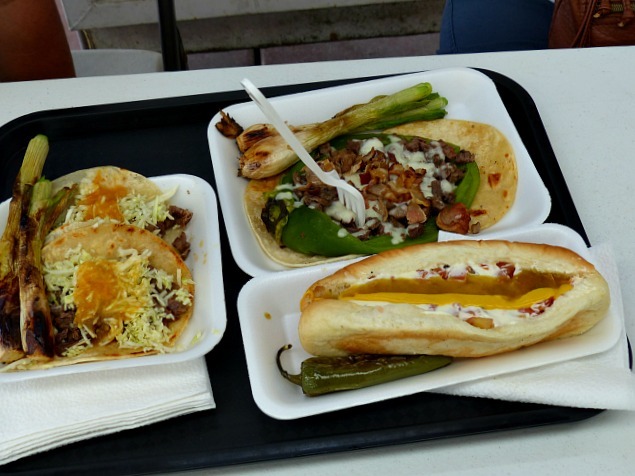 And a must visit if you’re looking for a street taco experience. And a Western essential experience, a Sonoran Hot Dog. A hot dog with bacon, pinto beans, grilled onions, and a fireworks-burst of condiments: chopped fresh onions, chopped fresh tomatoes, jalapeño sauce, mayonnaise and mustard. Add a grilled jalapeno on the side, absolutely wonderful! And don’t forget to grab a bottle of Fanta or a Mexican Cola from the ice chests. The food was exactly what we were looking for. Heading back to New Mexico, A stop in Hatch was a treat. I’m now the proud owner of a Hatch Chile Ristra, some beautiful red Hatch Chile powder and a big bag of pecans that are grown in the area. And we’re never disappointed by the Blue Corn Cheese Enchiladas at The Shed in Santa Fe. A culinary destination, The Shed has been named the best New Mexico food stop in the state. Their red sauce is stunning and wraps around those cheese filled enchiladas like a beautiful Southwestern blanket. 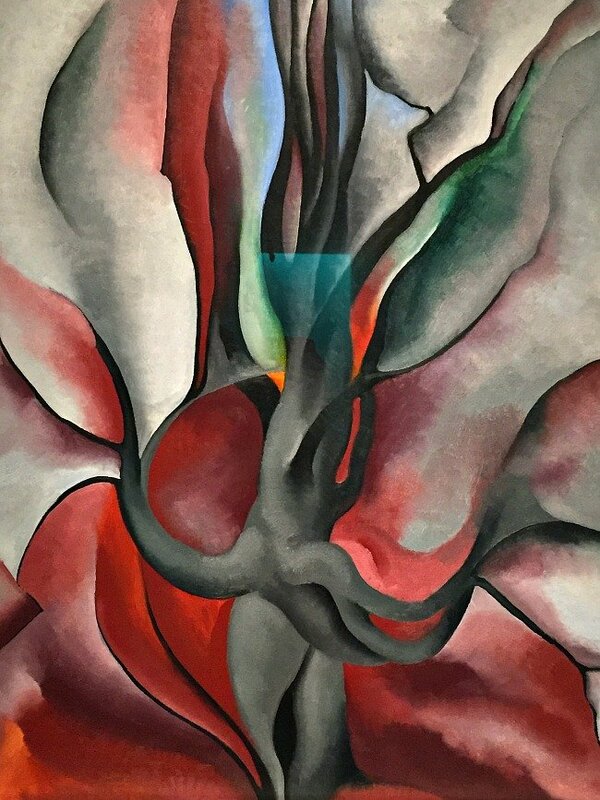 If you’re so inclined, a stop at the The Georgia O’Keefe Museum is well worth the time. I took a photo of this painting in the museum, my favorite with it’s New Mexico color scheme. 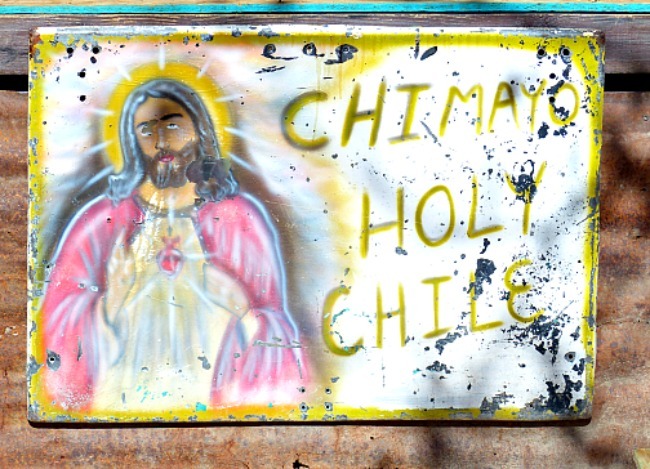 We stayed two days in Chimayo, New Mexico. Stock up is all I can say about that area. 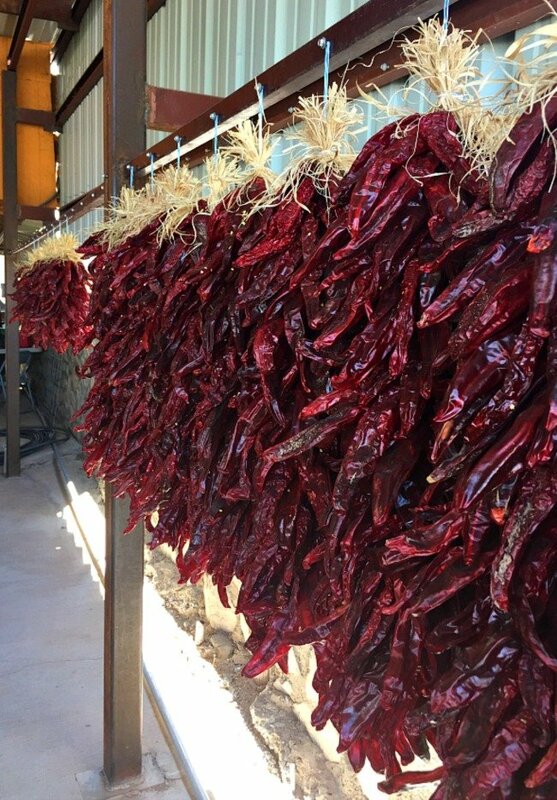 Stock up on culture and on Chimayo Chile Powder. It’s simply a special powder and in my opinion superior in flavor. However, all New Mexico Chile powders are absolutely wonderful and when there on a visit, one should grab as many bags as one can. From all different vendors and areas. It’s a prize ingredient to have in your pantry. 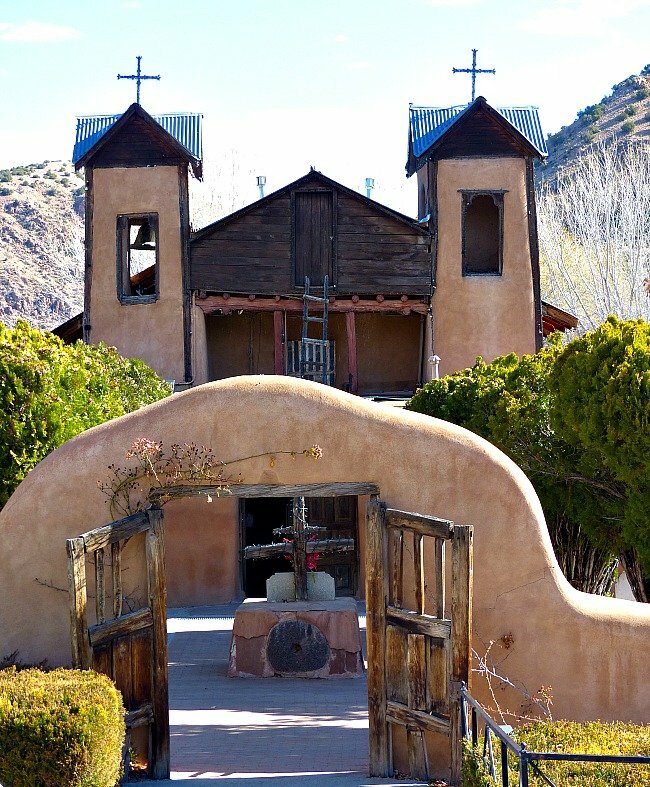 And a visit to El Santuario de Chimayo is well worth the trip. El Santuario de Chimayó is a Roman Catholic church in Chimayo. This shrine, a National Historic Landmark, is famous for the story of its founding its healings and as a contemporary pilgrimage site. I fear I’m officially a chile head. I didn’t know how long the ristra would last – I was hoping a few years. Such a fun, delicious way to change up risotto! Thank you so much Barbara. We really thought it was good. Thank you so much for letting me know Kimberly. I’ve just had surgery, so haven’t spent much time in the kitchen. I’m missing my Instant Pot projects.